There’s little doubt that we Americans love our pets. According to the American Pet Products Association, we’ll spend an estimated $47.7 billion on our non-human dependants this year alone. And the growing marketplace of “designerly” pet products — showcased via equally designerly blogs (Moderncat and Dog-Milk, for example) — suggests that the design community is paying attention. Despite our obvious affection, though, we’re killing 3 to 4 million dogs and cats each year in shelters (a term that, in this light, seems like a cruel joke). Although a wide variety of underserved populations have benefited from the recent design-for-social-change movement, the pet (over)population remains largely ignored. There are exceptions, of course — mostly in the form of awareness campaigns encouraging pet sterilization, and improved shelter environments. In the past few years, spay/neutercampaigns have taken on an edgier, more sophisticated look and feel — reflecting a keen understanding of their audience. Employing compelling graphics and clever copy, these ads and posters recognize a profound truth, however unsettling: whether we’re promoting pet sterilization or adoption from shelters, in the end, success is still largely a matter of effective sales and marketing. Lori Weise, founder of the Downtown Dog Rescue, took on a similar challenge in South Central Los Angeles. She realized from the outset the importance of strong visual communication design. In order for her to connect with pit bull owners in the area — and persuade them to get their dogs altered — Weise needed to speak their (visual) language. She claims her ads and posters were among the first to feature photos of pit bulls (which L.A. Animal Services describes as “probably one of the most misunderstood breeds [with] the lowest adoption rate to prove it”) with “cropped” ears — “the breed standard in the hood,” she says—thus earning her credibility. Mike Arms, president of the Helen Woodward Animal Center, had radiant heating strategically located in the floors of the facility’s dog runs. Ordinarily, the dogs would hang out at the back of the runs, making it more difficult for the public to connect with them — and ultimately take one home. By heating the floors only in the areas nearest the steady flow of people, Arms ensures that the dogs are front and center — and getting adopted. Cat Depot, located in Sarasota, Florida, is another organization with a user-friendly approach. No longer confined to cages, the cats are free to roam the “pods” and “suites” of their new 10,000-square-foot facility. And a state-of-the-art air filtration system keeps the facility fur- and dander-free, eliminates odors and helps to prevent the spread of airborne viruses and bacteria. Shelley Thayer, executive director of Cat Depot, says that, thanks to the new amenities, the organization is on track to double its 2009 adoption numbers this year. One of the more interesting — and potentially lucrative — opportunities for product designers interested in reducing the number of unwanted pets lies in the field of non-surgical sterilization. The Michelson Prize in Reproductive Biology, a $25 million challenge akin to the X Prize, was established to provide a much-needed boost to a historically underfunded area of research. Another $50 million is being awarded as grants for supporting research. There’s no doubt that these efforts have saved — and will continue saving — the lives of many animals. Still, in each of these instances, the designers are, for the most part, playing supporting roles; their work is serving the client’s agenda. This, it seems to me, is a missed opportunity. The design community needs to be tackling this problem head-on. Whether the problem is too many unwanted pets or too few adoptive homes, the cause of the problem is, at its root, human behavior. The way to turn the tide, then, begins with a deep understanding of the values, attitudes and beliefs that underlie those behaviors. And in this endeavor, quantitative studies take us only so far. Which is where ethnographic research — fast becoming a core skill for today’s designers — comes in. >Owners of unaltered pets love their pets, and consider themselves responsible pet owners. Campaigns that imply otherwise will likely be ignored. >Pet owners may associate low-cost spay/neuter services with poor quality; establishing trust is critical for the success of such programs. >Effective messages about spay/neutering demand a certain level of seriousness — cute visuals and celebrity spokespersons undermine the message. The posters, billboards, television and radio spots developed as a result of this work reflect — however subtly — a deep understanding of their audience that is simply beyond the reach of typical “agree/disagree” surveys. And awareness campaigns are only the most obvious outcomes — the insights gained could, of course, be leveraged for a broad range of design solutions (e.g., in the case of low-cost spay/neuter clinics: everything from the environment itself to the record keeping system and attire worn by the staff). My challenge to the design community, then, is to ensure that saving the lives of our companion animals is near the top of that same list. Thanks for this interesting article. Just one thing, if you are going to quote Ghandi, you should realized he was talking about animals at large, not just pets. Our apathy towards animals in our modern society (pets as well as cows, chicken, etc.) is indeed a reflection of what we have become: a greedy and corrupt environment putting profits and dividends before health concerns. So in the spirit of "an end to old ideas", let's rethink the way our culture views and treats animals rather than just caring about our man made pets. Thank you for this post! You're correct- pet owners who choose not to spay or neuter, and who purchase pets from breeders, rather than adopting from shelters, humane societies, etc., perceive themselves to be "good" owners. Campaigns to spay or neuter, and to adopt, must then appeal to these owner's perceptions, and make these actions appear as easy and attractive as the alternative. This is a great challenge for the design community! My neighbor, a 20 something single elementary school teacher, told me he was getting a dog from a friend who had a litter. I told him "Please, wait. A dog can be a 10-20 year commitment. Finding a rental that takes a dog cab be a hassle in most cities. Wait until you have a home you know you will stay in and are more settled. And no, it does not pick up girls! It is a living being." He said he got all that but, wanted a dog. He came back with TWO dogs from the litter. An aggressive female and a sweet male. He got them taken care of then, set them loose in the back yard all day long, alone. For over a year, I had to endure their barking, at everything! Thankfully, they turned out to be smart and have become less barking. But the female remains aggressive at dogs walking by. I think THIS kind of 20 something is the person ALL efforts should go to (and teens) to educate them about dogs, the work involved in training them so they get along with animals and people, and how any dog is best gotten from the shelter and NEVER a pet store. But, not until you own a home, with a yard, can walk the dog every day (twice for some breeds) in rain, sun, or snow and, understand that vet bills for a dog add up to thousands of dollars over its whole live. Frankly, enough to buy a really nice car, vacation overseas every few years (no matter your income), pay for your child's college, retire with more money, etc. Dogs are now EXPENSIVE over the decades you will be responsible for one. 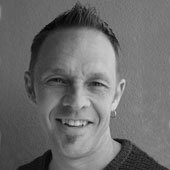 Peter J. Wolf is a lecturer in the Herberger Institute for Design and the Arts at Arizona State University, teaching courses in both industrial design and visual communication design, as well as a graduate course in qualitative research methods for designers.